Come check out the Nittany Valley Wranglers! The members of Nittany Valley Wranglers love living Nittany Lion Country. 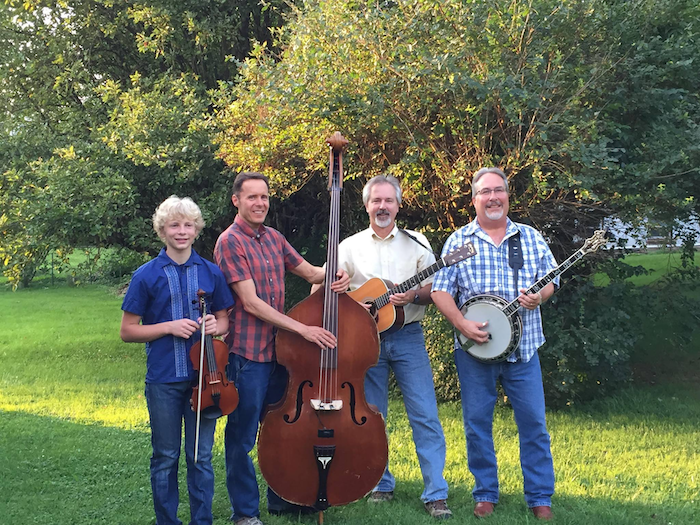 While traditional bluegrass music is in their soul, they also branch out to old-time, gospel and classic rock tunes. Gus Tritsch, an incredibly versatile fiddler, has been delighting audiences with his fiddle since he has been a young child. Keith Miska, on banjo, was raised in Coal Country, steeped in bluegrass, and has enjoyed his part in several bands. On the upright bass, Mike Bratton provides solid a bassline and timing. He also runs, bikes, and skis every chance he gets! Doug Romig provides lead vocals and strums the rhythm on guitar. On this occasion Gus Tritsch and his brother Huck will be playing a small set of their own style of music. NOTE: Our Pub Hang is a down-home musical scene. No cover – the pickers are playing for their love of music, our food ‘n’ brews + your tips – don’t forget some cashmunny!